Applications are now open for the 2019 Edinburgh Fringe! Welcome to the Free Festival Performers area, here you can find out information on performing with us, and how to submit your show details to us - all of this can be done online via this website. Applications are now open for August In 2019 our shows will run from Aug 1st to 25th, you can apply now after reading through the information on here, and our main programming decisions taking place from the end of January and through February and March and then ongoing for later applying shows from there. We aim to get as many shows programmed by the early Fringe programme deadline as possible so you can register your shows for the Fringe's lower price. 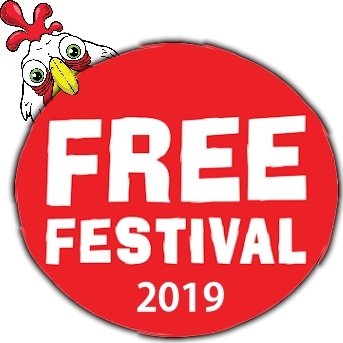 The 2019 Free Festival will run from August 1st to 25th, 2019. We will also be running our Children's festival again from July 30th for an extended season for children's shows. In 2019 we will have more than 35 performance spaces spread across 25 venues. We have performance spaces from a 20 seat room, through many rooms holding 50-150. As well as the spaces listed here we also run a number of venues for music performance. Click here for information on performing with us! Click here to login or register and apply to take part!